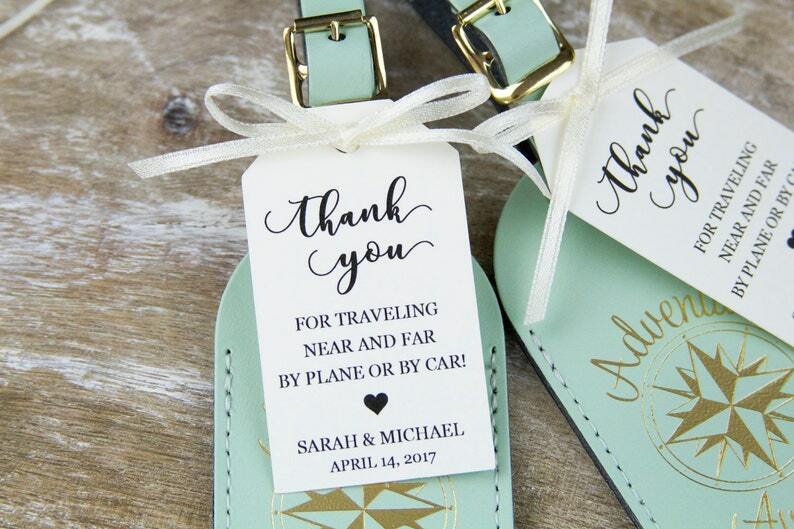 • Personalize these paper hang tags for your wedding, bridal shower, or other special event! • This listing is for the MEDIUM 2 5/8 x 1.5 inch size tags. 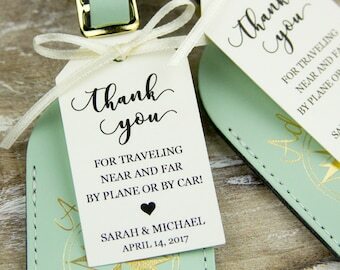 • They feature the words "Thank you for traveling near or far by plane or by car" and space below for your custom text. Quick turnaround and high quality product! Nice company and good customer service. Highly recommended! Tags were beautiful, and fast delivery. Very pleased with the purchase! I love them! Prefect for my shower. Absolutely perfect!! Just what I need and I got them super fast. Thank you so much! !